I have been spending the day making Easter Cards made for my friends and family. Have you tried Tim Holtz‘ Oxide Inks by Ranger yet? These inks are super cool to use and produce some amazing results. 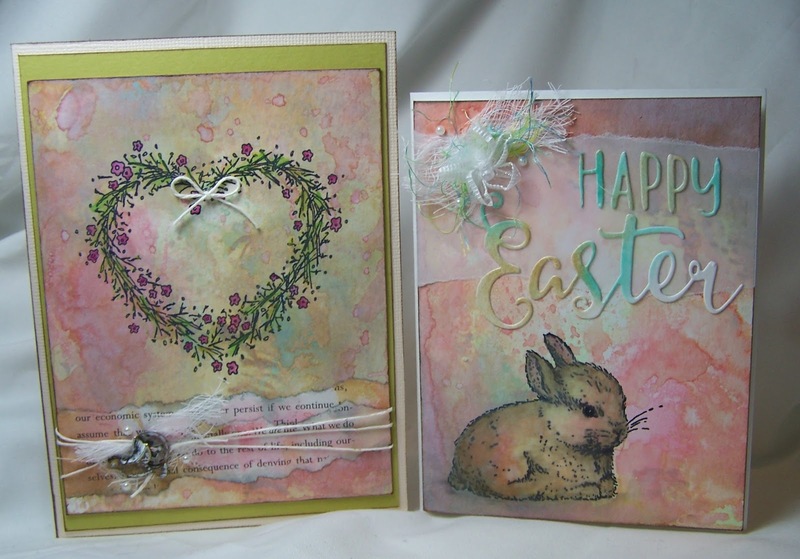 They provided the perfect back drop for these Easter cards… a soft blending of inks with distress style and the added look of texture. I have provided a link to a Demo that Tim Holtz provided at Creativation 2017. Check it out and then check out these oxide inks…so awesome! Die cut by Echo Park Paper Co.
Tim Holtz Oxide Inks by Ranger (Vintage Photo, Worn Lipstick, Peeled Paint, Fossilized Amber, and Iced Spruce.